Sharrah Restoration & Construction Design LLC, located in Gettysburg, PA is an award-winning, all-inclusive residential, commercial, remodeling and restoration design company. Sharrah Design's ideas and craftsmanship took The Heritage Center from an aged wax museum to a vibrant cultural hub. Appalachian Brewing Company trusted us with their latest BrewPub, which is now open. Visitors and locals alike are enjoying the atmosphere, especially the renowned outdoor beer garden. 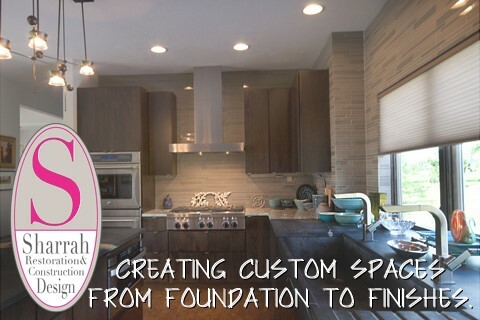 Additionally, many exclusive custom homes in and around Gettysburg, showcase Sharrah's skill level in all things “design” - from the foundation to the finishes. Working in sync with Sharrah Design Group Inc, one of southern PA’s foremost authorities in civil engineering and land development, Sharrah Restoration & Construction Design is the action to the planning; the application to the vision. Sharrah Design takes all the paper planning and facilitates the brick and mortar in a seamless application of the highest level of integrity, expertise and good natured professionalism. Michele Sharrah is one of Pennsylvania's few licensed female contractors. She is an expert in AutoCAD and construction design. Michele works seamlessly and routinely with her own design staff and two local contracting teams. These companies work diligently and collaboratively to build a sub-contracting base that uses only the most qualified local talent for the various jobs needed. Whether it’s plumbing for a remodel or steel girders for a new restaurant, this team works together to make sure all your building needs are exceeded.